Gary A. Chubb attained his Bachelor of Science in Engineering Technology from Pittsburg State University in Pittsburg, KS in 1974. Upon graduation, Gary entered the bulk material handling industry when he joined TecTank, a relatively new bolted steel tank manufacturer. Through his nearly 25-year career at TecTank, Gary served in various capacities in the sales and engineering departments, serving as Product Manager and ultimately Chief Design Engineer. During his tenure at TecTank, they grew into one of the largest manufacturers of industrial, grain, water, and waste water tanks, serving clients throughout the world. In 1998, Gary started Chubb Engineering, dedicated to providing design services to the bulk material handling industry. Today, Chubb Engineering serves clients who manufacture industrial structures and work platforms, dust collectors and cyclones, silos, tanks, storage systems, and electrical power distribution and control centers. Chubb Engineering, LLC provides engineering services to both manufacturers and users of storage and handling equipment serving a vast array of industries including petrochemical, automotive, grain, food processing, consumer packaging, power generation, oil, water, and many other industries that store, handle, process, and move bulk ingredients and products. 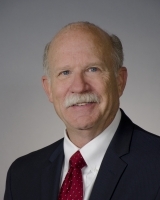 Gary is a past member of the NFPA 68/69 Committee for Explosion Protection, and is a founding and current member of the ASME Structures for Bulk Solids Committee, dedicated to developing a national standard for the design of Structures for Bulk Solids (tanks, bins, silos, etc). He has presented numerous lectures and talks on tank design, explosion venting, and causes of silo failures. He is currently a licensed PE or SE in 29 states. Gary's expertise with storage tank design has earned him a world-wide reputation in the industry. Gary is regularly called to inspect existing tanks and silos to assess their structural capabilities and has performed numerous forensic investigations of tank and silo damage and failure to determine the cause and to provide corrective action.